Ford will temporarily halt production of the F-150 truck, the U.S.'s best-selling vehicle, due to the May 2 fire at a supplier's facility. The company said it has an 84-day supply of vehicles in its inventory, so customers "will not have problems finding F-series truck," the company said. 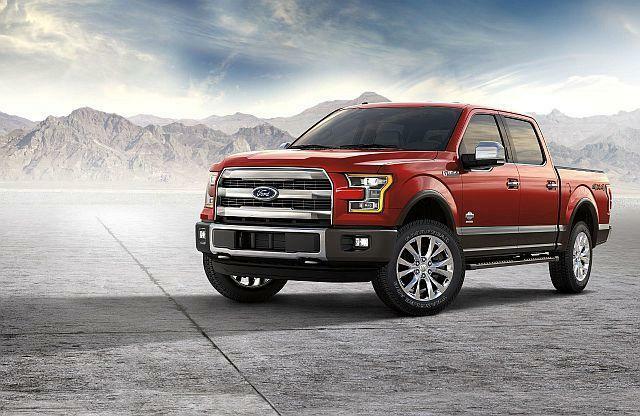 The F-150 production has been suspended at their Kansas City, Missouri, plant and will be suspended by the end of the shift Wednesday at their Dearborn, Michigan, plant. Ford declined to say how long the shutdown will last, but did not change earning forecasts and will be isolated to the second quarter. The company does not expect to lose sales due to shutdown and expect to make up the production over time. "This is a fluid situation, but we are working closely with our supplier and UAW partners to do everything we can to limit the impact on our production," said Joe Hinrichs, executive vice president and president of Global Operations, in a statement. Ford says one F-150 comes off the line every minute between the two plants. Ford sold 73,000 F-150s last month. The Magnesium Products of America, Inc. plant in Eaton Rapids, Michigan, makes multiple die-cast magnesium components of the F-150 including the front bolster, which is the reinforcement behind the front grill. Ford was able to recover the 19 tool sets it needs to restart production of components from fire scene, but it will take time to restart the supply chain. Mercedes-Benz is affected by the fire as well. On Tuesday, Mercedes-Benz said the damage caused at the same plant caused a shortage of components used in the cockpits in some of their vehicles. The company said they had canceled "production shifts in certain areas and adjusted production hours" while they "continue to assess the situation."